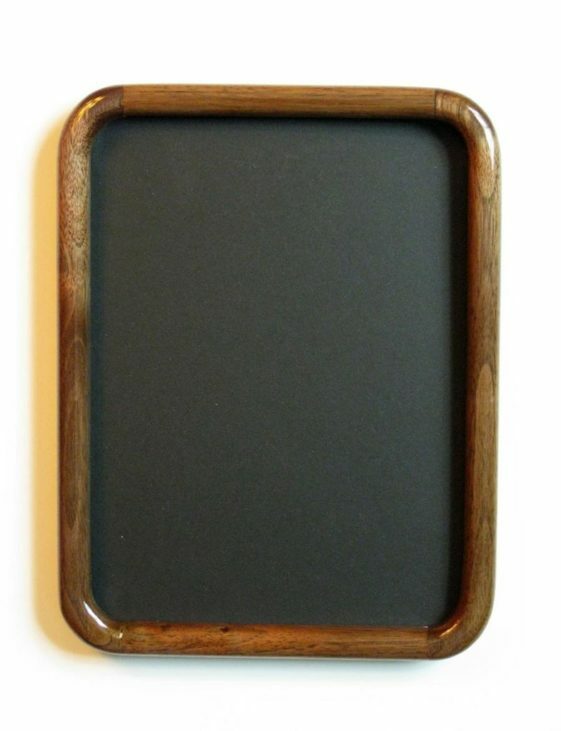 This Walnut Frame with natural finish is approximately 6 feet wide. 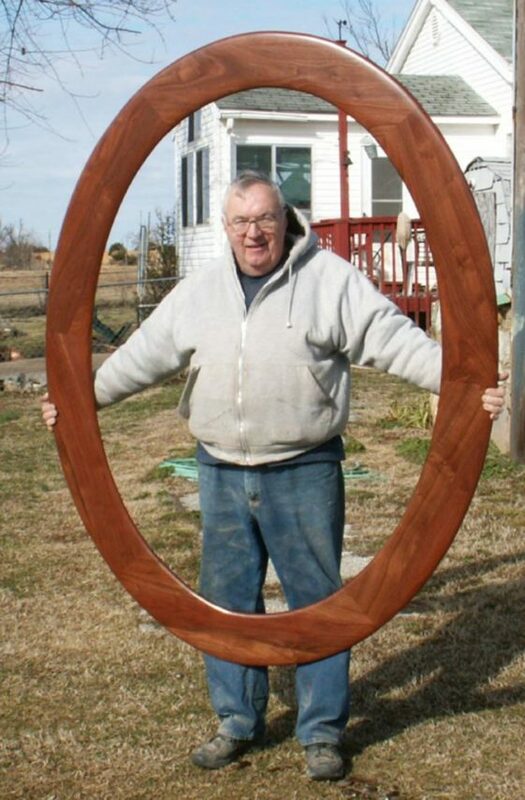 We build very large picture frames like this quite often. 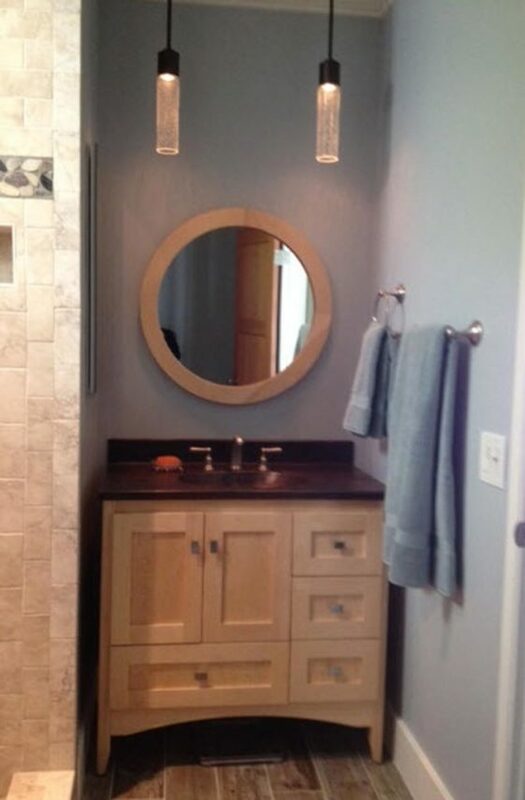 Poplar is a naturally white wood that takes stains extremely well, making it versatile and perfect for most colors. 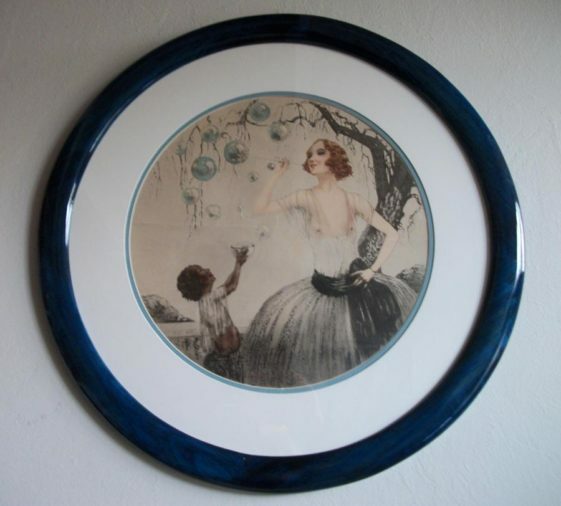 Here, the blue frame and wide blue and white double matte does wonders for the vintage print. 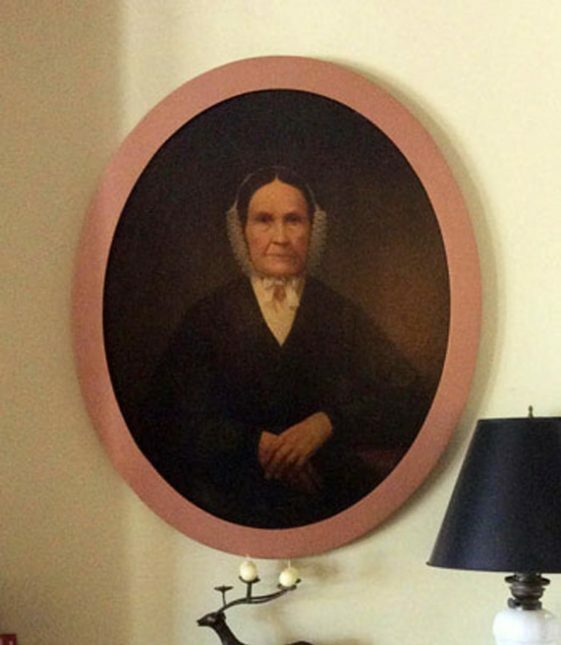 Notice how the blue frame highlights the subtle blues in the print. 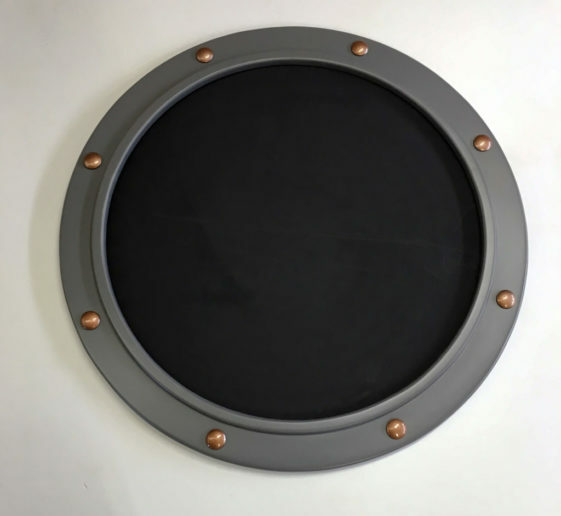 Round porthole style frame painted navy gray with copper rivets. 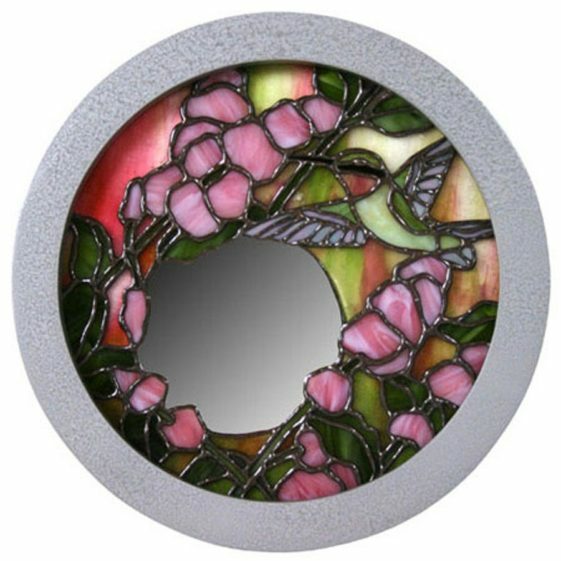 The colors are unusual for a picture frame, but work well with the intended purpose of imitating a nautical porthole. 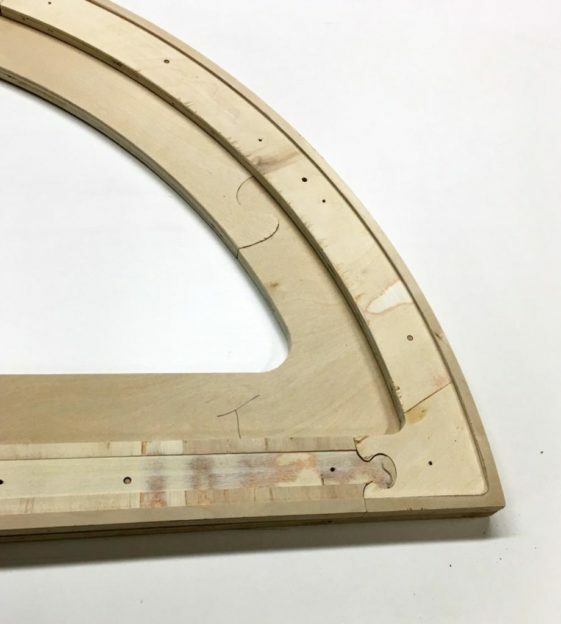 Half Circle Frames are hard to find and almost always have to be special made. 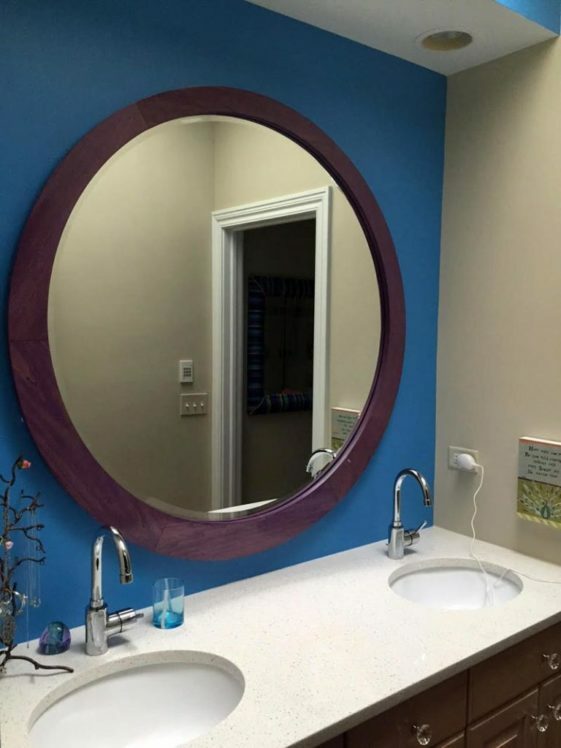 We are proud to offer this service. 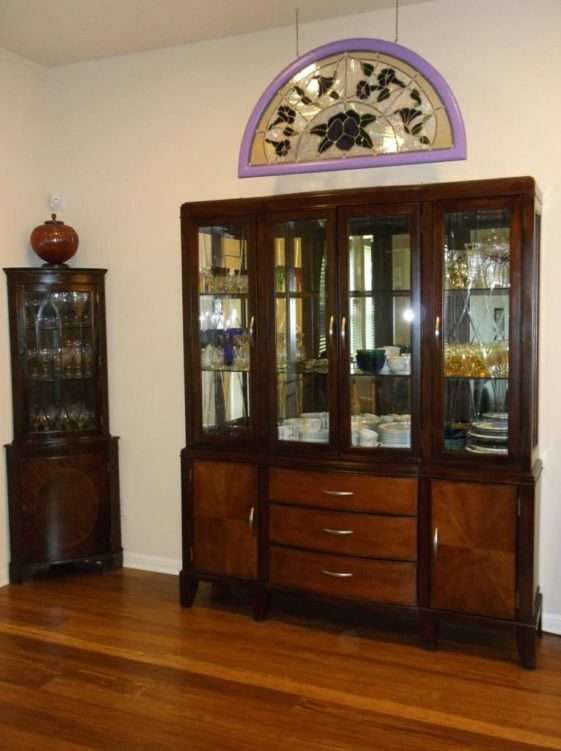 The Stained Glass work really went a long way to accent this hutch. 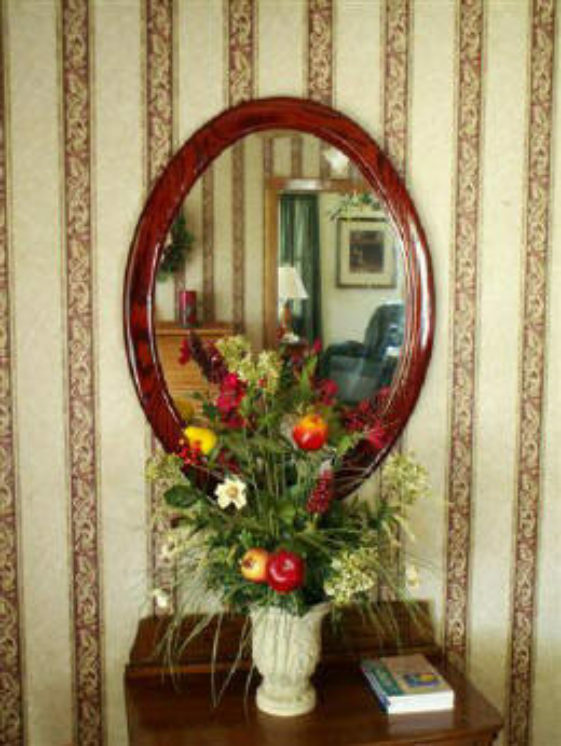 This also came with optional trim to finish the frame on both sides. 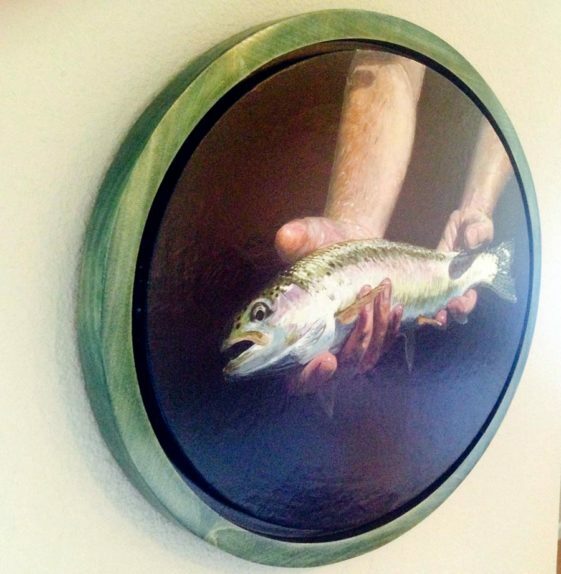 Our thanks to Justin King for providing this painting of a steelhead fish in our oval floating frame made of poplar and stained green. 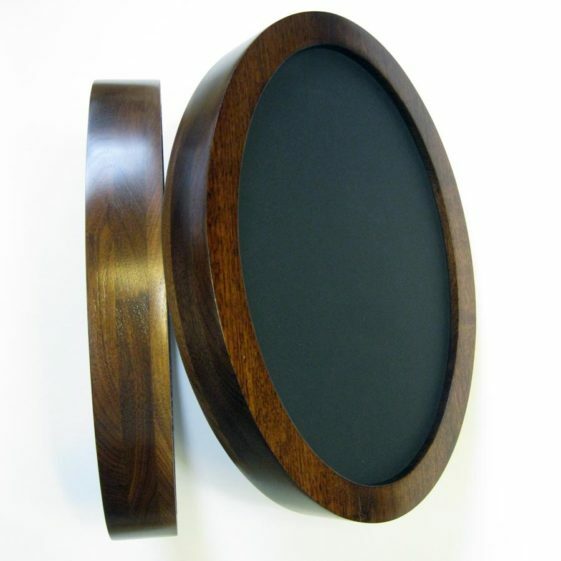 Floating frames work for many pieces of artwork including paintings and provide a wonderful effect. 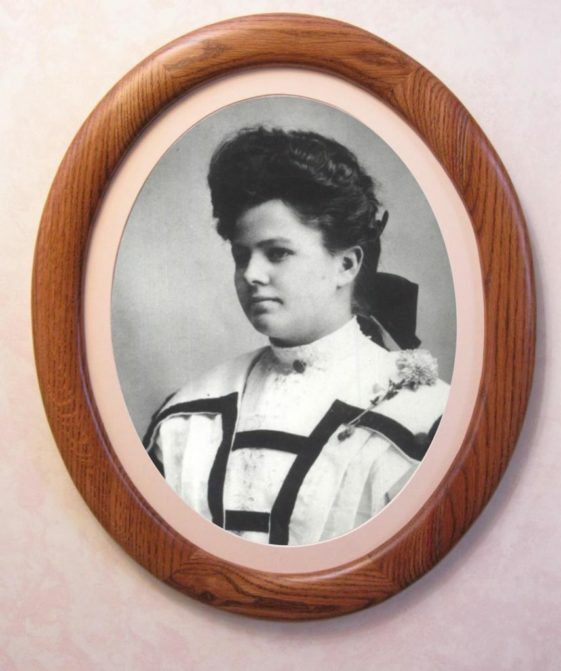 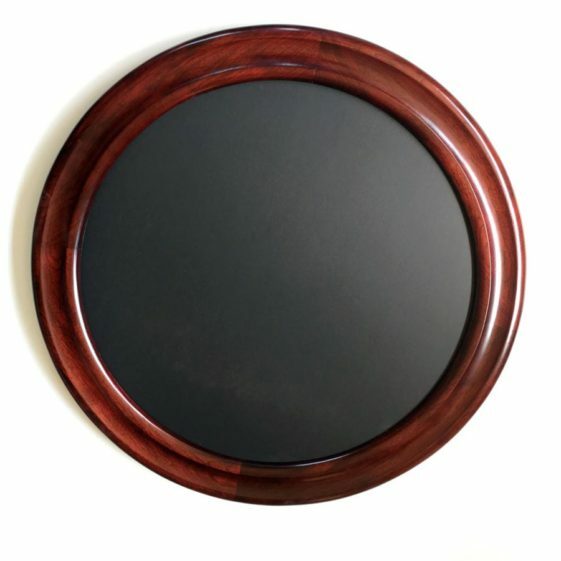 This rich Mahogany color adds a touch of glamour to any frame. 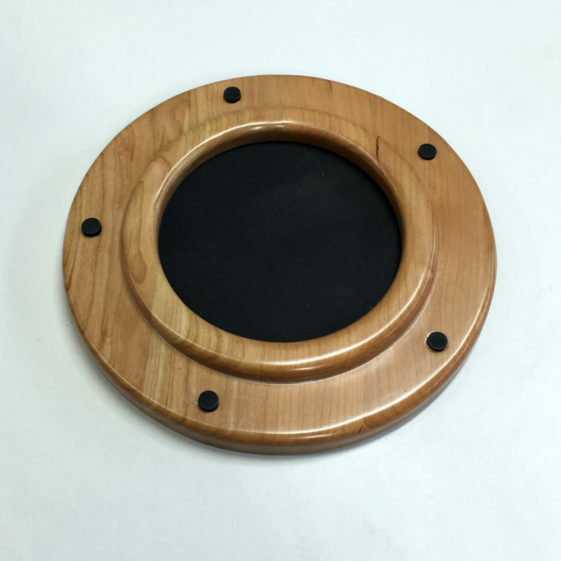 Our Red Stain works well on Poplar Oak, Cypress and even Walnut. 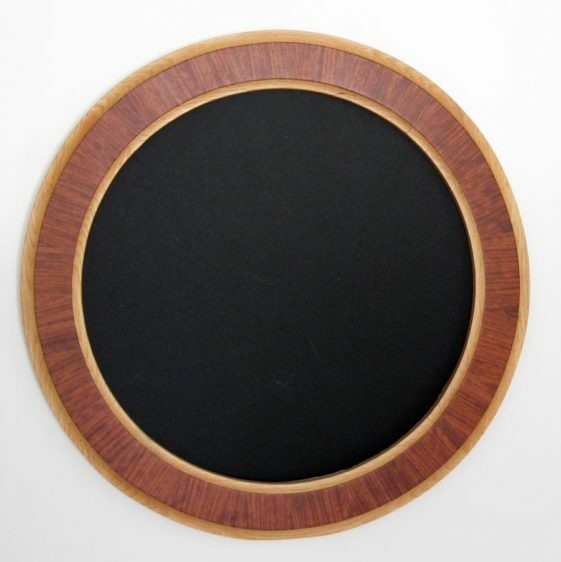 These extra deep Oval Frames made of Walnut are great for an object that requires extra depth. 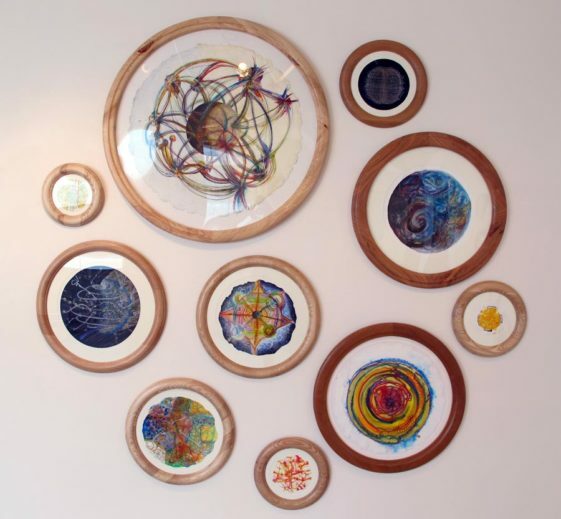 This can also add that extra effect to that certain piece of artwork.